Nice. Terrible. Amazing. That was the three stages I went through when describing Cape Keraudren, for our short stay in May. 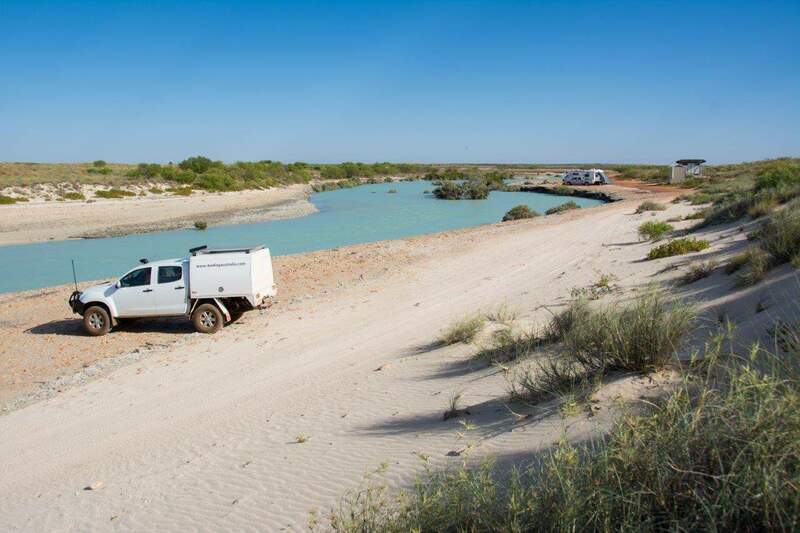 In our planning stages to Drive to Broome, we were looking for places to camp that were free/low cost but amazing, and we stumbled across Cape Keraudren, about 160km out from Port Hedland, and 60km from the De Grey river camp ground (which is currently closed!). The photos looked brilliant, and the location was good, so we booked it in. 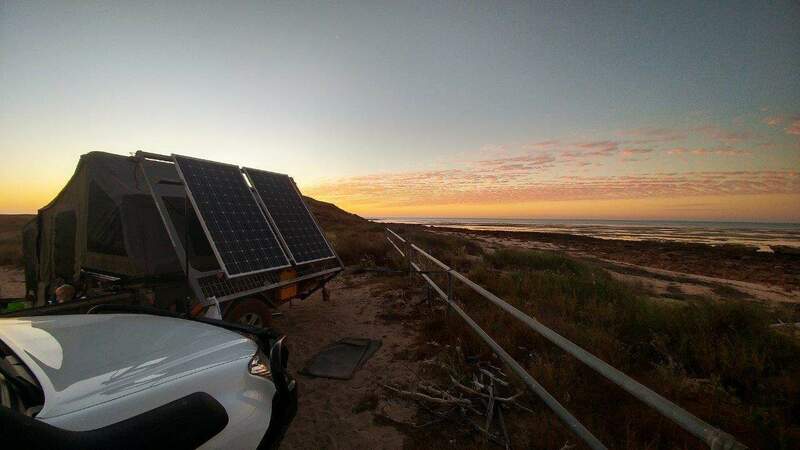 On the way there though, we had been reading of high winds – 30 – 50km an hour, and I know from experience (thinking particularly of Gnaraloo station) that camping on the coast when the wind is up is not much fun at all. However, we persisted and rolled into Cape Keraudren at about 4:30 in the afternoon. We only paid for one night, not knowing how nice it would be and thinking that we’d bail the next day if it was average. Thankfully, the wind was fairly slow on arrival, and with a great sunset and nice views we were happy to setup. 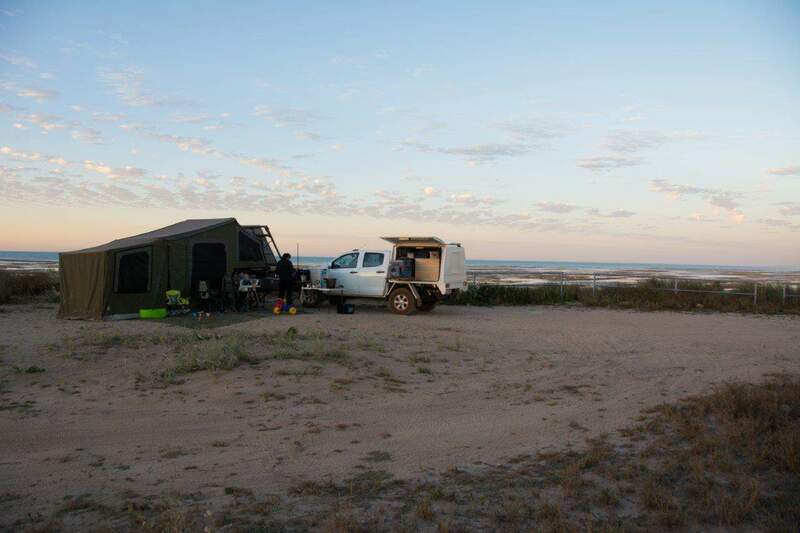 We’d come from Kalgan’s Pool in Newman, which in our opinion is one of the best free camps around, so had high expectations! The following day though, the weatherman came through with his predictions; from about 9AM it blew, and blew and blew. Despite moving the car several times to try and shield us (we couldn’t even get a kettle to boil!) it was pretty unpleasant. The joys of camping in average weather, with an outdoor kitchen. Determined not to let the weather beat us, we went for a drive around the region. 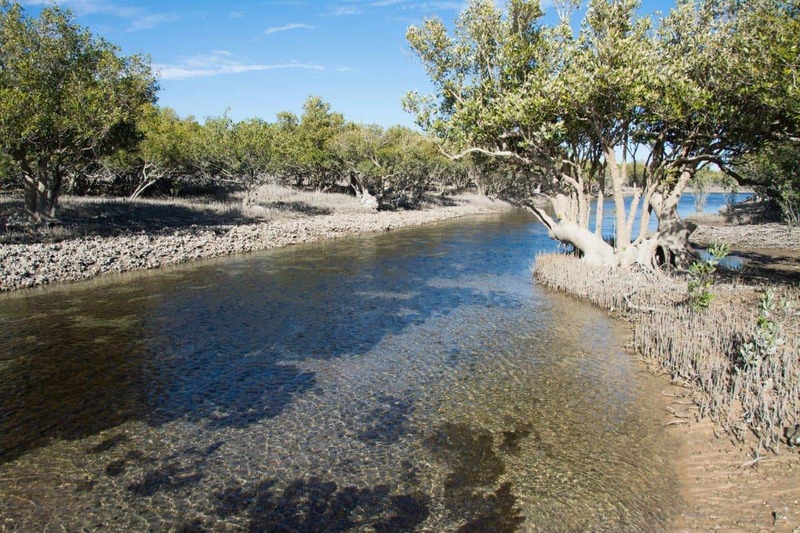 There are a couple of very pretty creeks that run through the area, and with the 4 metre tides its impressive to see them change throughout the day. The wind died off in the afternoon, we had an amazing walk along the beach and the views were nothing short of brilliant. Despite my doubts about the place, I really fell in love with it and was sad to leave the following morning. In many ways, it reminds me of Cleaverville, and I feel we were gypped with the wind. Some long term stayers told us the wind was very unusual and that it was normally flat as a tack in May, so we just lucked out. 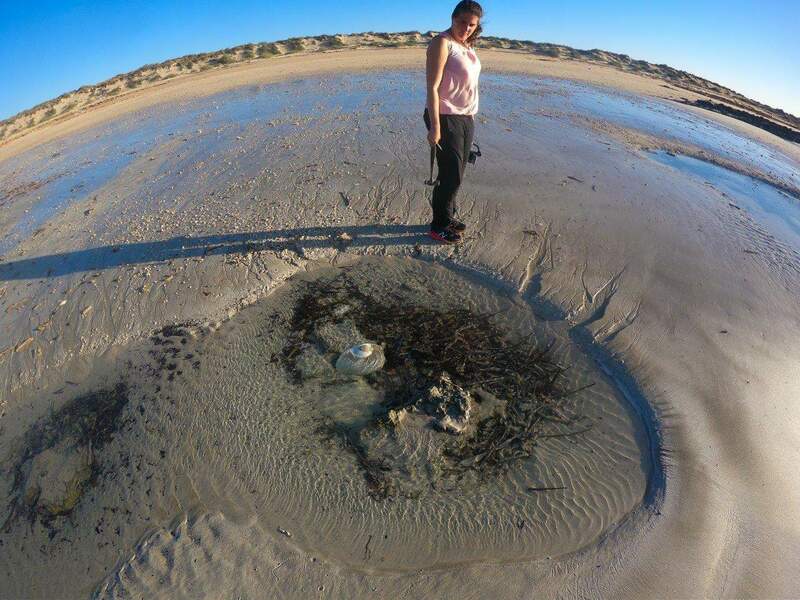 I guess thats the risk you take when camping on the coast! 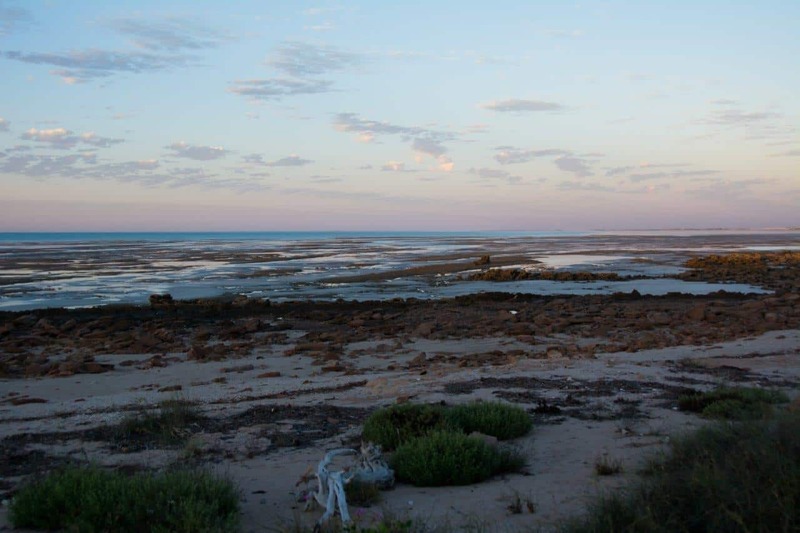 Cape Keraudren is right on the coast, 165km east of Port Hedland and not far from Pardoo Road house. There are 3 main places at Cape Keraudren where you can camp. 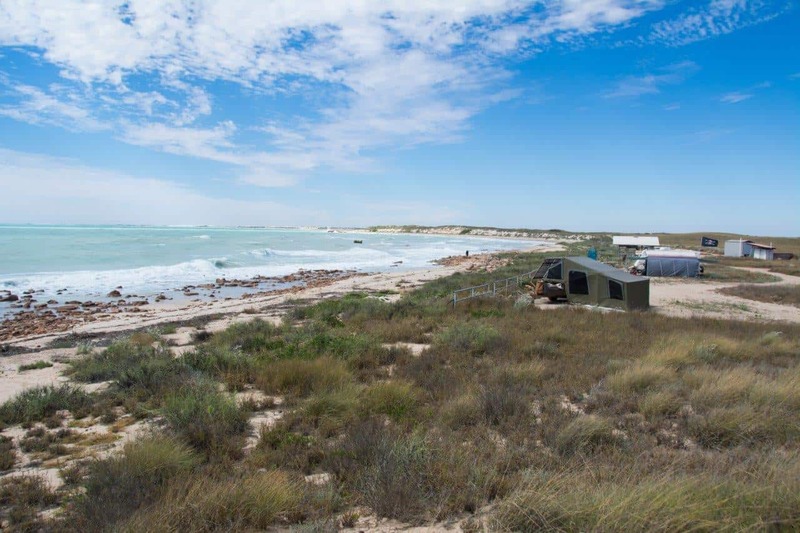 Sandy Beach, Cootenbrand Creek, the top camp and Cape Keraudren Cliff Camp. Beyond that, there are a couple of other places you are allowed to camp, providing you have your own toilet on board. The entry fee is $12 per vehicle, whether you are camping or not. Beyond that, its $10 per adult per night. If you are only visiting for a day or two this might seem expensive, but it soon fades away if you are there for longer. When is a nice time to visit? Dogs are permitted, but they must be on a lead at all times. There are quite a few dump points spread over the little area; you wont have an issue getting rid of black waste. If you need water, you can head to the rangers house on top of the hill, and get it from the bore. We never tasted it, but apparently its good enough to drink. This explains why some people are able to stay and camp for so long without leaving for supplies. You wouldnt believe it, but theres actually free wifi at a number of places too. I managed to get on for a little while, but it booted me due to excess data use, even though I barely did anything, but maybe it was just a bug. The whole coastline in this region is well known for sand flies and mosquitos. The more wind, the less bugs to eat you. Thermacells seem to work well, as does a mixture of detol and baby oil, sprayed on as you would with aeroguard or bushmans. I really fell in love with Cape Keraudren, and would be back for sure despite the average weather we had. It’s such a beautiful place with lots to do. Have you been there? What did you think of it? If not, chuck it on the list and check it out next time you are in the region. Yep – well worth a stop in at. Lots of little bits to explore. Next year!